We understand how importing it is to stretch money as far as it can go, especially these days. 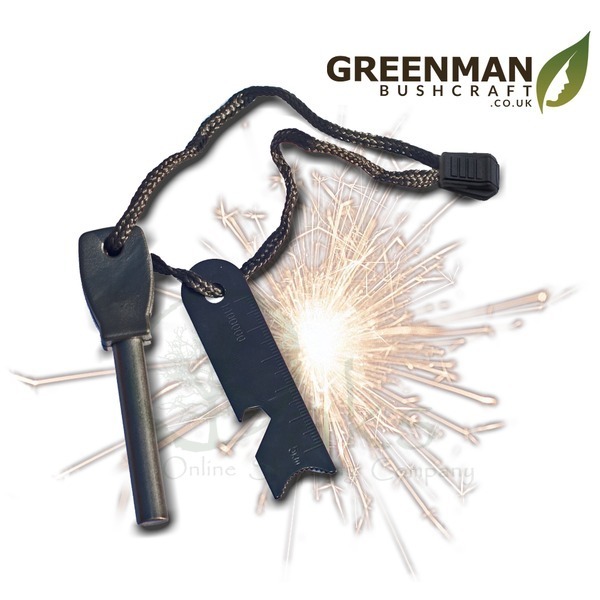 To help meet this and other budgetary demands we have sourced the Greenman Bushcraft Army Firesteel. This particular firesteel has been designed on the classic-style firesteel which is better suited for both adults and children to use. 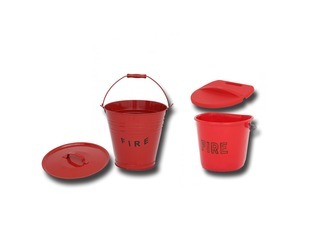 The fire striker comes with an old-style (in our opinion better) handle as well as a flat multi-purpose firesteel striker, both of which children find easier to use. 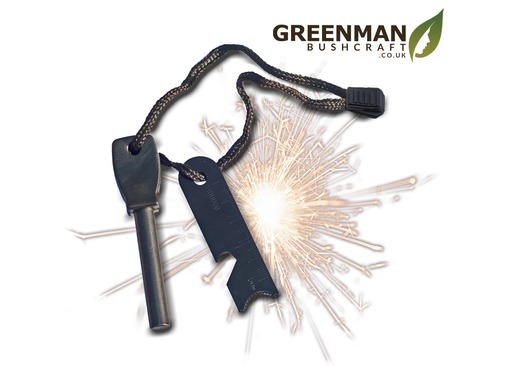 The Greenman Firesteel is an excellent alternative to high-priced branded flint and steels. 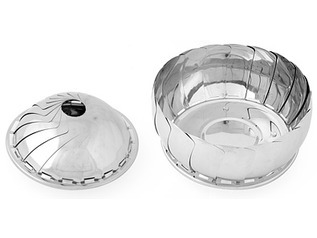 Just because the price is lower, doesn't mean that the quality is lacking. 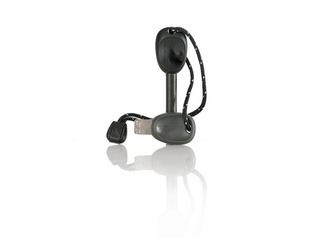 We use these frequently, and promise that they are of a great quality and up to 80% cheaper than other alternatives. We also offer bulk pricing to our customers who wish to order wholesale volumes of these firesteels. The army size firesteel comes in at an overall 87mm in length, with the visible portion of the ferroicum steel rod at 53mm in length. The width is 9.5mm and the firesteel will last for approximately between 8,000 and 10,000 strikes if being used correctly. 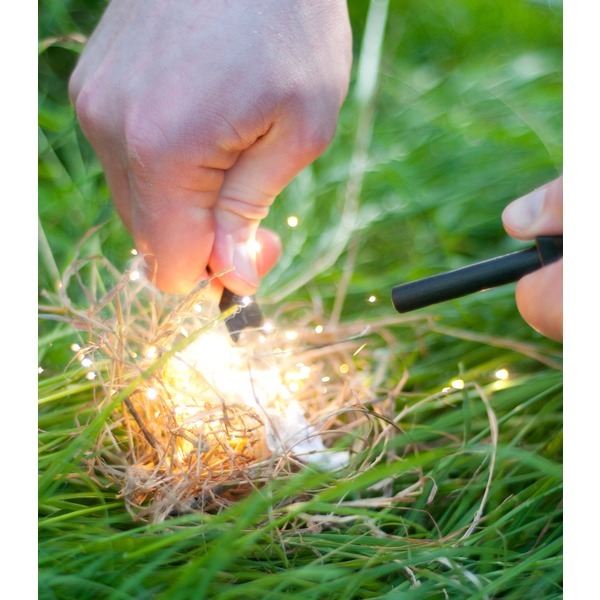 Each strike from the supplied steel striker will create a massive shower of hot sparks, which, if directed on to a tinder bundle will create fire easily. 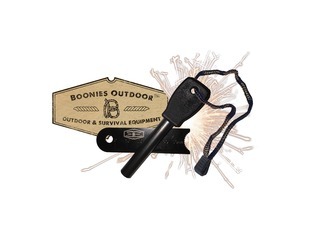 The firesteel fire striker is made from a flat coated stainless steel with a ruler and bottle opener included. 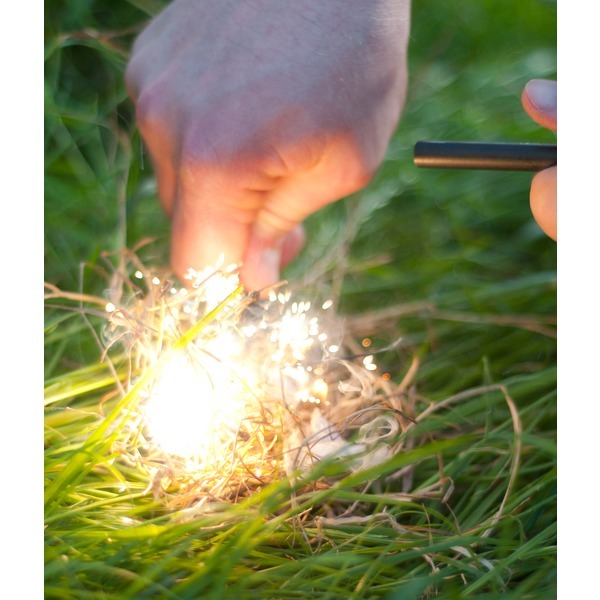 The striker has been designed to throw more sparks than any other striker and is easy to grip and due to the design. 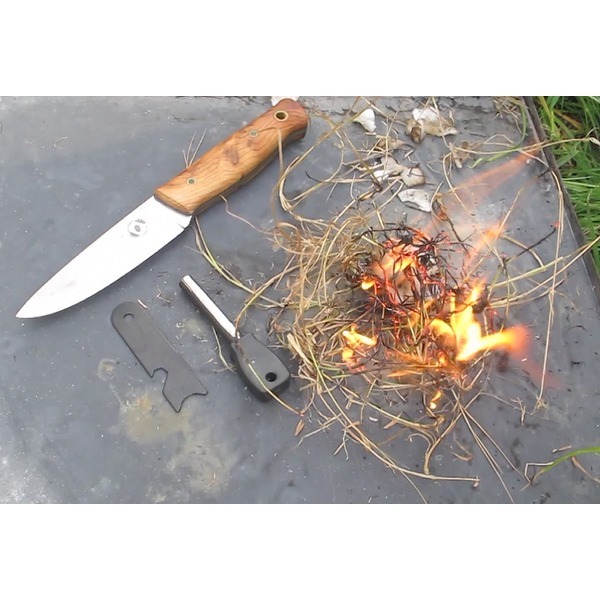 We're confident that you will agree that these are the best value bushcraft firesteels on the market, and as such we offer an extended standard warranty of 60 days on this item. 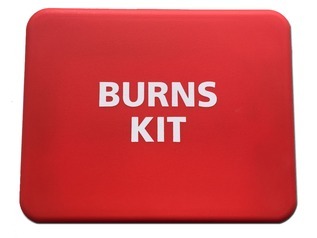 If you change your mind about the purchase, simply contact us to arrange a refund or exchange of item. 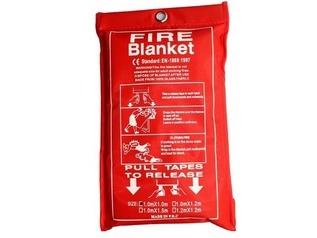 Bulk pricing and wholesale is also available on this firesteel.